The iGeneration (also known as Gen Z) is the name given to people born between 1995-2007, following Generation Y. The “i" represents the technology that this generation has grown up with, for example, iPhone, iPod, Wii and iTunes. The iGeneration are known to consume large amounts of media on a daily basis, averaging between six and nine hours. They use social media such as Facebook, Twitter, YouTube, Instagram, Pinterest and Snapchat as information sources and a way to connect with brands. As this generation graduate from school and college, they begin to have a growing purchasing power, and by 2020, they will account for 40 percent of the consumer market. Influenced by their level of control, identities and globalization, these behaviours and characteristics are shaping the beverage industry, as they look for products to improve their physical and emotional health, as well as helping the environment. This digitally-connected generation are more concerned over safety, taking fewer risks and drinking less alcohol than former generations. In comparison to previous generations, the iGeneration have become conscious of what they put in their bodies. This is driving the explosion of variety in low alcohol or no alcohol alternatives on the supermarket shelves. This is driving the explosion of variety in low alcohol or no alcohol beverages on the supermarket shelves, driving the desire for more sophisticated drinks. Mocktails are becoming more inventive with savoury and spicy notes, appealing to the iGeneration’s broad and adventurous palates. The iGeneration are one of the most ethnically diverse groups and therefore more receptive to ethnic flavours, driving an appeal towards botanical-infused drinks. This generation have been educated to make healthier choices, particularly around ever-growing concerns over the consumption of sugar. With CSD’s in decline, bottled and flavoured water has noticeably increased as a replacement, along with cold brew coffees and teas, with more innovative flavours and ingredients. Transparency is also valued, leading to a higher number of clean label claims. According to Global Data’s study in 2018, 42% of iGeneration “are often or always influenced by how ethical, environmentally friendly, or socially responsible a product is in the following sectors” in comparison to only 28% from the silent generation. The iGeneration are revolutionising the eating experience. Convenience has become key to meet on-the-go lifestyles and creating grab-and-go convenience opportunities for not just meals, but snacks and beverages. As told by Global Data, “Gen Z and Millennials are most likely to use out-of-home services on a regular basis compared with older age cohorts.” They often prefer to stay at home and use technology to get a food delivery. 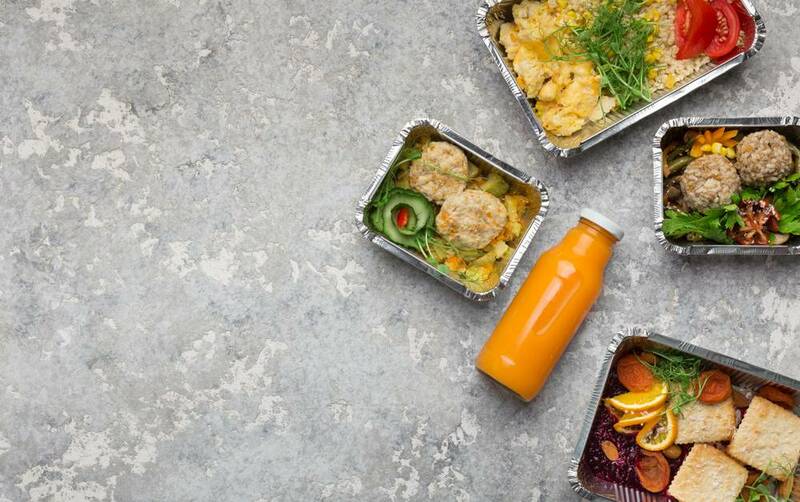 According to a study by the International Foodservice Manufacturers Association (IFMA) and the Centre for Generational Kinetics, 24% of the iGeneration order a takeout three or four times in a typical week, exceeding any other generation. It is worth noting that these deliveries are mostly healthy in order to keep up to go with their on-the-go lifestyles. As told by Tufts Nutrition, 41% of Gen Z say they would spend more on foods they perceive as healthier, in comparison to only 32% of millennials and around 21% of baby boomers. To find out how we can help you appeal to the iGeneration, please visit our Health and Wellness page or click here to learn more about our range of flavour ingredients.